I was doing some work with the Gelatin Australia crew who pointed me to a post written by Cheryl Frost – a figure competitor and now coach for other athletes. 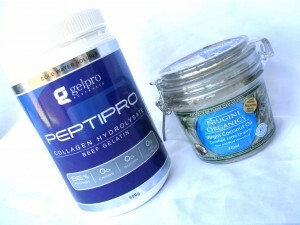 She was in favour of the Peptipro gelatin which she now uses instead of protein powder – a whole other story – but while I was there I read some of her other blog posts. The angle was that as a former low carb dieter, after some years of this, she found that it was increasingly less effective and in fact over time ruined her metabolism as well as the function of hormones and thyroid gland. So they were switching over to a new philosophy pioneered by Dr Ray Peat who is a biologist. The point of this method is to support bodily processes to feed the cells adequately for optimal health of the organs, hormones, fast metabolism and preserve muscle mass while living and exercising. And central to this whole philosophy is removing PUFAs from the diet. So what the hell is a PUFA? They are Poly Unsaturated Fatty Acids. In the past they were praised as the best type of oil to be consuming and saturated fat like butter, and coconut oil were shunned as heart damaging and bad for health. However the tide has completely switched around, with more recent research showing that PUFAs are actually highly unstable, easily affected by heat, light and oxygen and likely to be rancid before it gets anywhere near you, causing untold damage to the cells in the body. In fact two of the most troubling issues is that it may damage the cells ability to process sugars correctly and this is thought to be a major cause of diabetes and is implicated in breast cancer! and I’m sure if I kept looking I would find plenty more to add to this list! I had realised saturated fats were not bad for some time and I eat butter and coconut oil but I don’t think it really registered how bad the unsaturated fats really were and the damage they do. “So what are they in?”, I hear you asking??!! All fish oils including Omega 3! The point is that you can’t avoid them all together and in fact the body needs a small amount but the idea is to minimise them as best you can. I have seen the number of 4g per day as the aim to keep at or below. Only shredded coconut and macadamias are the lowest in PUFAs. All others especially nuts and seeds already shelled, exposed to light, oxygen and more so when used in cooking and heated like almond flour are all bad news. Well I don’t eat any grain for many other reasons but a quick look revealed that you are looking at about 1g of PUFAs for every 100g of grain. So entirely up to you. The recommendation is to eat fish if you want the fish oil and not to take the capsule because unless the manufacturer is super meticulous there is a high likelihood that it will be rancid too. The age of the product, the way it’s stored, how long it’s kept on the shelf etc all play a part. So your anti inflammatory Omega 3s could very well be highly inflammatory if they are not super fresh. Chicken, eggs and meat will be high in PUFAs unless they are grass fed. Which is why the Paleo crew insist on grass fed only. 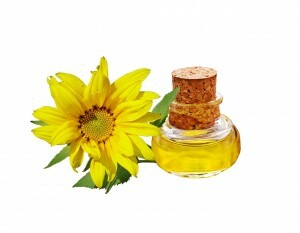 So have a look at the products you eat and check the source of the oil in them. Things like potato chips, corn chips, pre-packaged dips, olives, sauces, biscuits, breads, pastries, spring rolls, cakes, pizza, most restaurant/café food etc nearly everything is made with safflower, sunflower, canola or soybean oil which are full of PUFAs. Flax and Hemp oil are two of the worst as well. It’s everywhere and in the past was even recommended as healthy. Some health professionals still say it is! No wonder we are all confused. Anyway, while there is more to Dr Ray Peat and his philosophies, for now, this is the most important one to change in your diet now, to start the improvement to your thyroid, hormones and sugar metabolism in your body. Very interesting Kristy and as you said yourself I have been aware that Poly Unsaturated Fatty Acids are not good for you but not to the extend of what your article references. I must read more of Dr Ray Peat’s work. Hi Pam, yes Ray’s work is very interesting but it is difficult reading as well, very technical. I found it better to go find other blogs who follow his principles but explain it a little more easily. See how you go, it’s interesting stuff.